Unless you’ve had your head under a rock for the past 2 years, there’s a strong chance you’ll have noticed the ascendancy of a certain green fruit (yea, fact check me) with an annoyingly large stone at its core. The rise of the avocado into the mainstream is impressive, be it the classic smashed 'avo' and scrambled egg on sourdough bread (I am gentrification), avocado smoothies or avocado cooking oil, the Persea americana is infiltrating everyday life quicker than the time it stays at peak ripeness. Food trends can be short-lived. Social data helps brands not only to unearth rising food trends but also monitor and track their evolution over time and predict future changes in consumer behaviour. Critical and positive sentiment, emerging topics and lifestyle choices that constitute the wider content landscape, such as the avocado’s, are highly significant areas to understand for brands to fully leverage and interpret trend lifecycles. In the past year there have been over 2.4million posts in relation to the avocado, making it one of the most discussed superfoods on social media. The only superfood that surpasses it, is mentions of coconut. With 4.1 million mentions and a reach of 9.6 billion the coconut has a reach per post of 2.4k, whereas with 2.44 million mentions and reach of 6.13 billion, the avocado has a 2.5k reach per post. The avocado outperforms all other superfoods, such as the almond and chia seeds; with extra penetration gained from its promotion via social media influencers. With 90% of the posts on social media including a picture or a video; consumers are proud to “parade” avocados. Demographics - who’s talking about the avocado online? From American celebrities to street market consumers in Lebanon, the avocado engages users across all ages, both men and women, with diverse levels of influence. While the avocado is most popular with young women aged between 18-24, it is popular across different age groups and occupations. 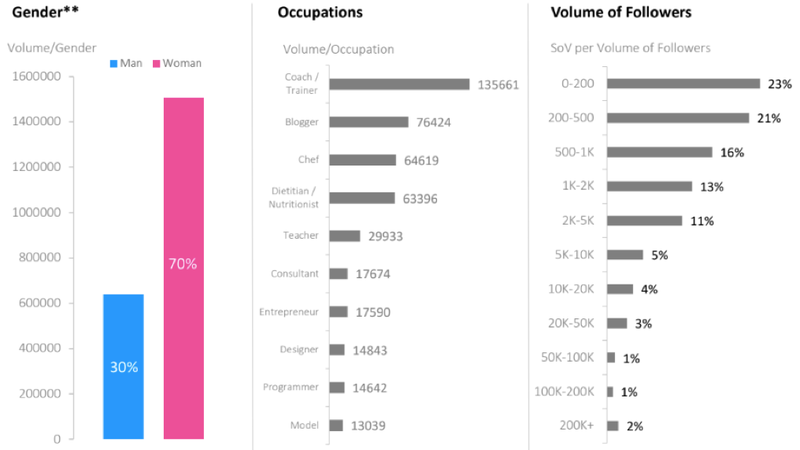 The top 3 occupations when it comes to posting about avocados saw Personal Trainers and Fitness Coaches come in first, followed secondly by Bloggers and then Chefs. When looking at English language posts, the avocado is discussed most in the USA, with an increase of 57.74% from 310k posts (mid 2016 to mid 2017) to 489k posts (mid 2017 to mid 2018). Next came the UK with an increase of 49.37% over the same date range and then Australia at 42.42%. Interestingly, the split between positive and negative sentiment towards the avocado is becoming more and more polarised over time, with less neutral sentiment being expressed. Only 33% of avocado mentions over the past 12 months were neutral. With growing awareness about the health benefits of avocado and its ambassador level status as part of a clean, conscious diet plan, the positivity around the avocado is clear. The rising negative sentiment, though, is centered around the growing processed food industry's integration of the avocado, along with the more conscientious of consumers highlighting the environmental issues surrounding the sourcing of the fruit. 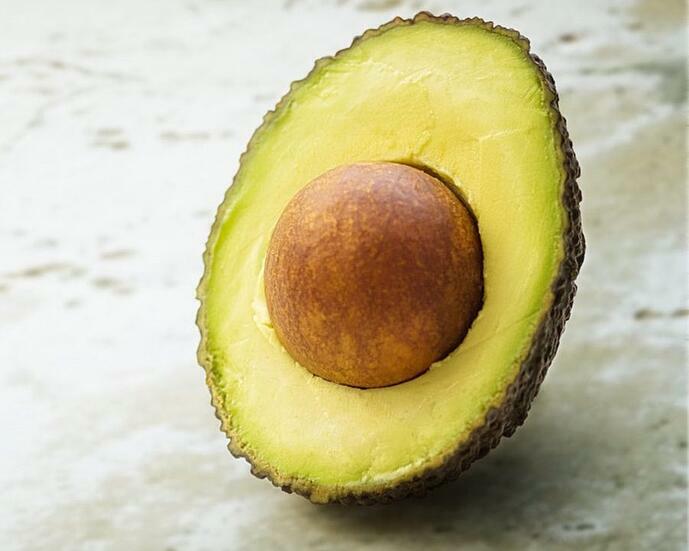 There are no large avocado companies in existence so the majority of conversation is dominated by large brands, particularly in the retail sector, along with fast food and restaurant chains. There’s also been a surge of processed food providers integrating avocado products into their ranges, such as Primal Kitchen. Products include, avocado spread, avocado dip and even avocado oil spray. 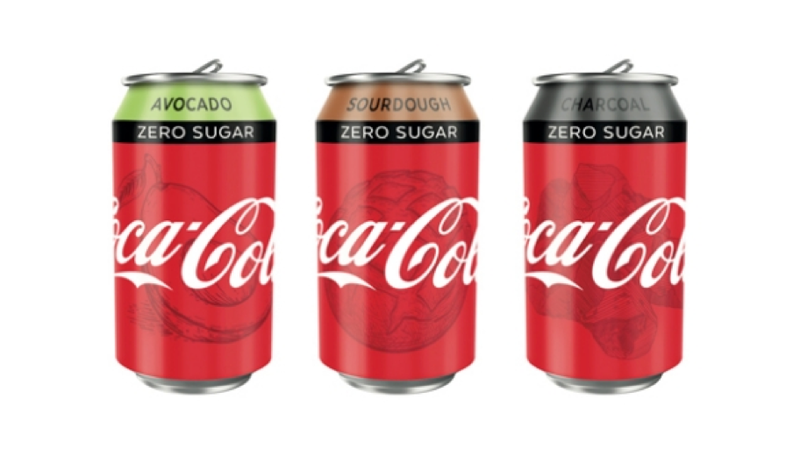 Coca-cola, even produced an April Fools' day sourdough, charcoal and avocado flavoured range; highlighting the rise of such ingredients with a hint of humour intertwined. The avocado’s even managed to find its way into the beauty industry with products such as Amazon’s Anti Aging Avocado Body Scrub. With every man and his dog looking to jump on the avocado bandwagon, we wanted to know what caused the rise of this dietary phenomenon? In Part 2, we delve into how long-term consumption trends resulted in the avocado standing in the spotlight. Part 2 - The avocado’s fame explained by consumption trends.